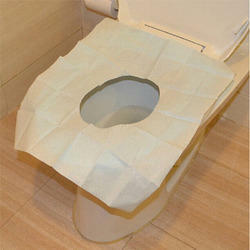 Exporter of a wide range of products which include toilet seat cover paper. We are engaged in exporting, distributor, wholesaler and supplying a wide assortment of Toilet Seat Paper Cover. Our offered covers are highly appreciated by clients due to their robust design, chemical resistance, less maintenance and smooth & finished look.